Therapists who work with adolescents often encounter a variety of ethical dilemmas. Therapists may struggle with how to address risky and potentially dangerous behaviors that some student's engage in. Therapists may also be challenged by how to balance the competing pressures for independence (on the part of the student) and parental concerns. Other ethical challenges include managing differences in values between students and their parents and clarifying therapist obligations (who is the client in the case of unmotivated student and highly motivated parents). We will focus on how these ethical concerns have been intensified by technological advances and related social pressures, and discuss guidelines for responding to/addressing these dilemmas. We will also consider how technological innovations have created new ethical challenges for therapists in their work with students outside of therapy and how to address the intrusion of technology into therapy. 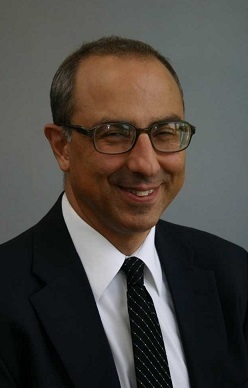 Peter Perrotta, Ph.D., is a licensed psychologist in the State of Illinois. Dr. Perrotta is President of the Centers for Family Change, a group practice specializing in the treatment of children, adolescents, and families. Dr. Perrotta has been practicing for over 30 years and specializes in working with families and ADHD. He is also a member of the Illinois Psychological Association and regularly presents on issues regarding ethics and risk management. $50 for the training for all other registrants. Materials are included unless otherwise noted.